Reggae sensation Ras Penco has enjoyed a tremendous run this year, first hitting number one in Jamaica with his single "Thousand Miles," and will cap off the summer on an even higher note with exciting performances, a new hit single in hand and a video shoot in the works. The culture crooner is preparing to return for his second bout at New York's reggae summer staple Irie Jamboree, put on by Irie Jam Radio 93.5 FM in the New York Tri-State region, on Sunday, September 6. "It feels good to return to Irie Jamboree because I'm coming back on a different level," reveals the young star. "More people are familiar with my single now and know who Ras Penco is. It's going to be good to come to New York and perform for all the people who will come out for the big Labor Day celebration." Directly after Irie Jamboree, Penco will head to Los Angeles to shoot the video for his new hit single, the romantic pop ballad "Be By My Side." The video is sure to propel the tune even more, as it is already receiving airplay in Jamaica. "It's a wonderful feeling to be doing my second video," smiles Penco. "I'm still holding the vibe of 'Thousand Miles,' and want to give the people that same energy and sentiment. It's going to be even better." Penco's video for "Thousand Miles" continues to enjoy rotation in and out of the Caribbean, including on BETj and VH1 Soul. With the crossover sound of "Be By My Side" and the Hollywood-based production team at the helm of the upcoming video, he's sure to have another major hit on his hands. 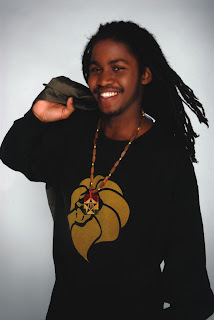 For the latest artist news and tour information on Ras Penco, log on to www.myspace.com/raspenco.